Need an easy, no fuss, quick veggie dish? 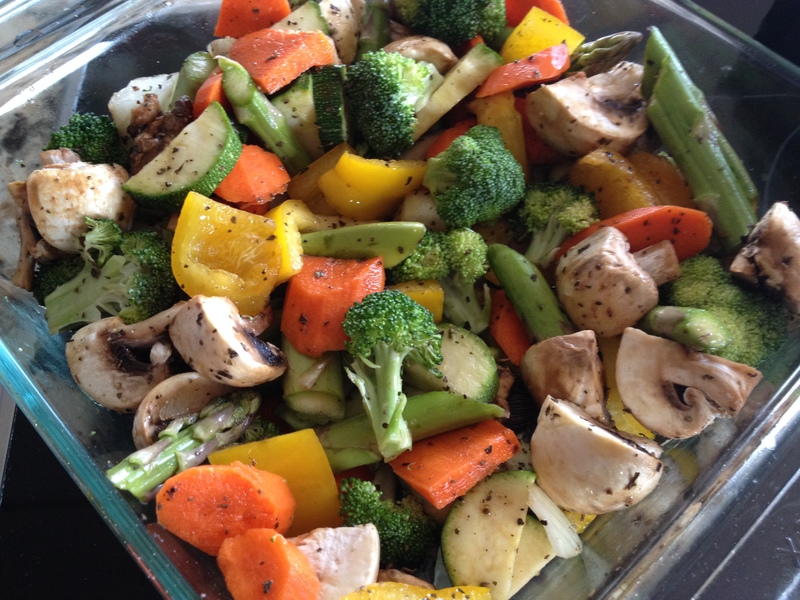 Just toss whatever veggies you have in the fridge with olive oil, vinegar and spices and bake! Cut vegetables into 1/2 inch to 1 inch chunks. Toss with olive oil, vinegar, basil, salt and pepper. Roast in 400 degree F oven for 35 minutes or until tender crisp.